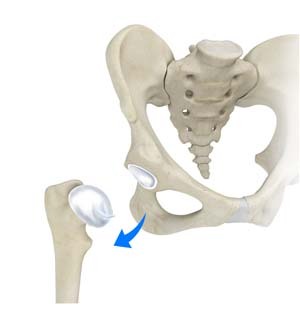 Hip dislocations can be caused by injuries from motor vehicle accidents or severe falls. The common symptoms of a hip dislocation include pain, inability to move your legs and numbness along the foot or ankle. A dislocation may also be associated with a fracture in the hip, back or knee bones. When you present to the clinic with these symptoms, your doctor performs a thorough physical examination and may order imaging studies such as X-rays to confirm the diagnosis.